Held on Saturday the 9th and Sunday the 10th of July, the 37th Edition of the Festival of Lemons in Massa Lubrense. 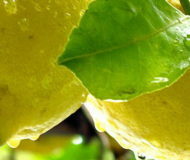 Organized by the original land of Lemons, and sponsored by the municipality of Massa Lubrense, the festival is completely focused on a local lemon, called “Femminello”. This lemon is characterized by a very clear peel and few seeds inside, which makes it very suitable for the production of limoncello and other gastronomic purposes. The Festival will feature, in addition to tasting of lemons, lemonade and lime based products and/or where the lemons are mastered, theatrical performances, in both the days of the 10th of July and 9th. On July 10th there will also be some prizes distributed to the producers of the finest wines and oils of the city of Massa Lubrense. Vescovado Square: theatrical events will be held throughout the evening. Award ceremony for the best oil of Massalubrense. Award ceremony for the best wine of Massalubrense. Description: Held on Saturday the 9th and Sunday the 10th of July, the 37th Edition of the Festival of Lemons in Massa Lubrense.